This is not common, as these are the only two cases I have come across so far. What is more, they seem to be unrelated. For the benefit of everyone, let me explain where potential problems can come from. shortcut / interference on the crystal circuit of the RTC. This can be seen by going to the loader, setting the time and seeing, if the clock begins to advance normally. 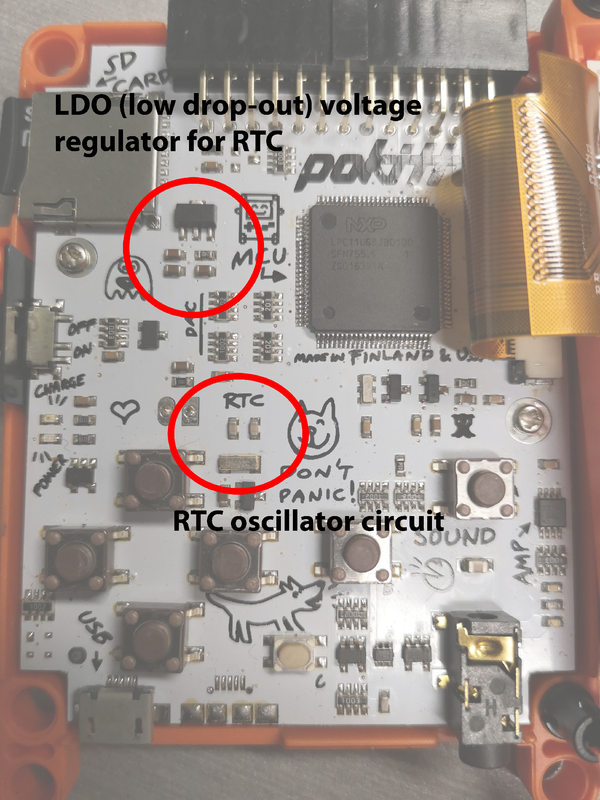 The RTC needs its own crystal ticking at 32kHz ( you can see it on the board under the text “RTC”. The crystal is a very light and small component as well as the two capacitors that are also needed. 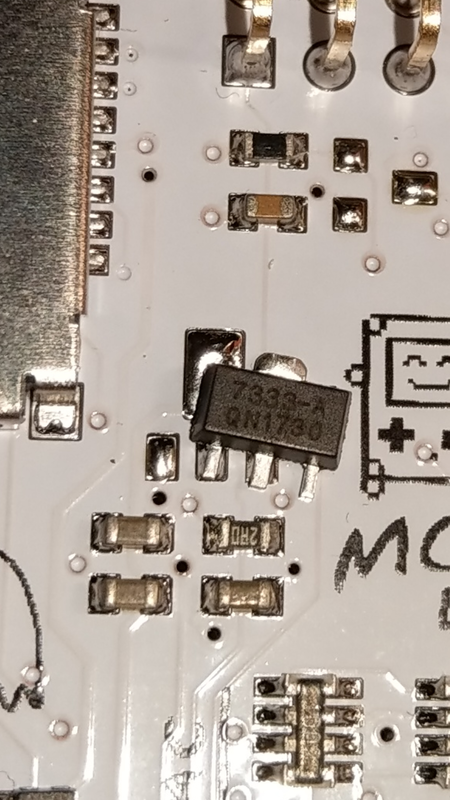 Sometimes these components “tombstone” meaning the solder pulls one side up, leading to a bad connection on the opposite pad. Most likely explanation to @vampirics problem, however is that there is a short on the MCU pins. The RTC crystal circuit is connected to the MCU via the normal pins of the MCU. 99% of problems we’ve had with buttons etc. have been tiny “shorts” (bridges of solder) between the pins of the MCU. Sometimes they are so small you need a magnifying lens to even see them. EDIT: as a footnote, may I add that I will be releasing the schematics and a detailed hardware explanation as soon as I have time to get down to it properly. Really like this kind of post @jonne. Part of the fun on pokitto world has been the develop background you provide.